The Hidden Value in Life Insurance can change everything. 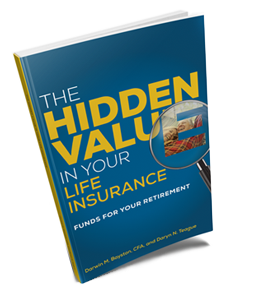 Discover the Hidden Value in Your Life Insurance and fund your dream retirement. We offer to discount the book unit price to $8.49 for orders of 100-500 and to $7.99 for orders of 500+. (Discounts automatically applied on checkout). "American seniors don't know life insurance policy." No wonder so many of us are nervous about our ability to retire. Fortunately there is an asset that many American seniors have at their fingertips that they can use to fund their retirements. Most of them don’t even realize it. reduce stress by gaining peace of mind about retirement. What will be some of the key takeways from this book? Make your retirement and your golden years the best time of your life. Your financial advisor may also not be allowed to disclose the information provided in this book. Nearly one in four professional financial advisors aren’t even allowed to tell you about the fact that you have the right to sell your life insurance policy because the life insurance industry doesn’t want that option to be known to you. These are the same people whom you trusted enough to purchase your policy from them in the first place.